Premium Distribution Co., Ltd is an importer, distributor and aftersales service provider of sports, sports-nutrition and lifestyle products. We proudly serve a network of over 100 sporting goods, specialty bicycle, lifestyle and fashion and national-chain retailers throughout Vietnam. We are committed to using our knowledge and experience to elevate our customers businesses and to support competitive sport, active lifestyles and cycling in Vietnam. Launched in 2011 by a now 30-year veteran in the product sales and distribution business, the idea was to bring a new type of distribution company to Vietnam. Staffed with a dedicated team of and armed with a wealth of knowledge in supply chain, sourcing, distribution and retail, we set out to bring about change. We provide our customers with marketing support programs, expertise in building product and product assortments, in-store design and POP support, distribution and logistical solutions and technical support. Our goals are simple. Supply the best products, on-time and at the best prices; Back everything we sell and say with the best possible service, warranties and technical support; Represent and sell only the world’s top brands; make sport more accessible and enjoyable; always lead, never follow. and riding is in our DNA. We fully understand and appreciate everything a retailer must do to build and maintain a successful business. We know you should be spending more time focusing on your business and less time following up with your suppliers. At Premium, our sales team works to learn your business, understand your customers and anticipate your needs. Our fully networked order and inventory management system tracks your orders and arranges delivery to match your schedule. Our technical service team is quick to get you the parts or advice you need to keep your inventory in good working condition and moving out the door. With over 3,000 regularly stocked items, and quick order turn around times, you can order only the quantities you need, allowing you to free up your cash flow. Our purchasing and compliance personnel make sure that all our products are labeled to meet Vietnam consumer goods regulations so all you have to do is unpack them and put them on the shelf. We are marketers at heart and we believe that it is critical we invest the time and money to introduce, educate and build awareness of the brands and products we distribute in Vietnam. Our team of in-house graphic and digital designers is tasked with generating and maintaining local websites, digital content and printed material and our marketing team supports our sales network with events, online ads and PR. As an International brand looking for distribution in Vietnam, we understand how important your brand name, identity and intellectual property is. Protecting that as we grow your business in Vietnam is our top priority. We operate with complete transparency and are at home adhering to the operational policies of your company. We meet MOQ’s. We forecast. We respect both deadlines and timelines. We’re not perfect, but we work hard to make sure we operate professionally and with the respect your brand deserves. We build things. Whether its products, brands, displays, websites, or trails - if it supports our business, we’ll think it up and get it made! It’s just what we do. Called the Blender, our design house is the heart and soul of our company. No matter how complex a project, or seemingly impossible a request, our team of passionate artists always seem to find the perfect blend between form and function. As a Premium Distribution customer, our service extends far past just selling you product. Our design team is available to develop store designs, digital or print ads, event-materials or even shop t-shirts. If you’re a national retailer and are looking to differentiate yourself with unique and exciting product, we can help. We have extensive experience designing and building private label bike and accessory programs for retailer around the world. We work closely with your buying team to identify and build a program that exceeds the wants of your consumers. If you don’t have a corporate brand to use, no problem, we can help with that too. We build brand identities, websites and in-store merchandizing to help round out the consumer experience. MORE THAN just pumping up tires! Premium stocks spare parts for all the products it sells. Our knowledgeable technical service staff is on call and ready to help find the right replacement part to keep products working, and consumers happy . 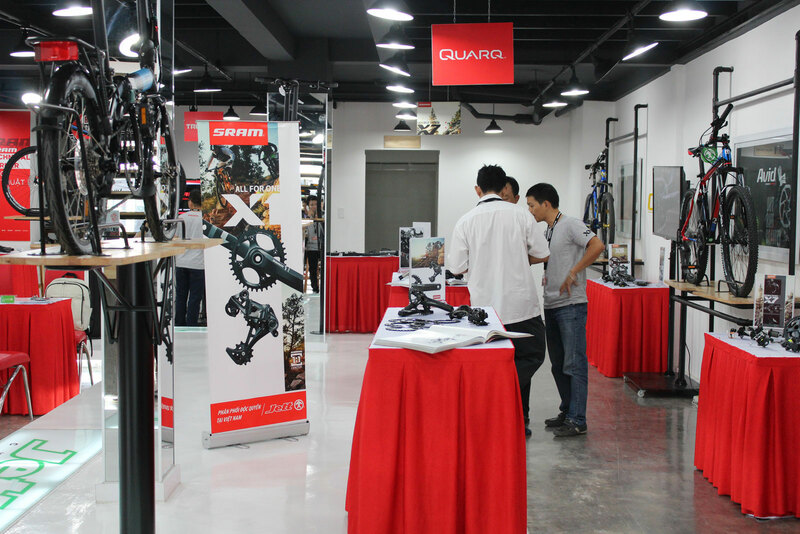 We are a trained and authorized warranty and service center for all SRAM products aftermarket and OE products. We honor and support all manufactures warranties here in Vietnam. We provide our customers with on-going technical education and seminars to ensure that they stay current with the ever-changing technologies in this business. Riding Cannondale’s revolutionary SuperSix bikes and equipped with the latest Giro helmets, shoes and gloves, the PCVL team has been, and will continue to be, a force to reckon with in Vietnam’s pro pelotons. Be sure to follow the team on Facebook and Instagram to stay up-to-date on their latest race results. All nutritional and supplement products are tested, and exceed, Vietnam’s quality standard for supplements and conform to all Vietnamese laws for labeling and instructions. SẢN PHẨM ZIPP VÀ SRAM GIẢ/NHÁI ĐÃ ĐƯỢC PHÁT HIỆN TẠI THỊ TRƯỜNG VIỆT NAM. Hiện tại chúng tôi đã phát hiện các sản phẩm carbon hàng giả/hàng nhái (bánh xe, ghi đông, pô tăng, giò đạp) tại thị trường Việt Nam mang thương hiệu Zipp hoặc SRAM được nhập khẩu và bán bởi các đại lý không được ủy quyền tại Việt Nam. Chúng tôi mong quý khách hàng quan tâm đến sản phẩm Zipp và SRAM lưu ý vấn đề này. FAKE ZIPP AND SRAM PRODUCTS HAVE BEEN FOUND IN THE VIETNAM MARKET. 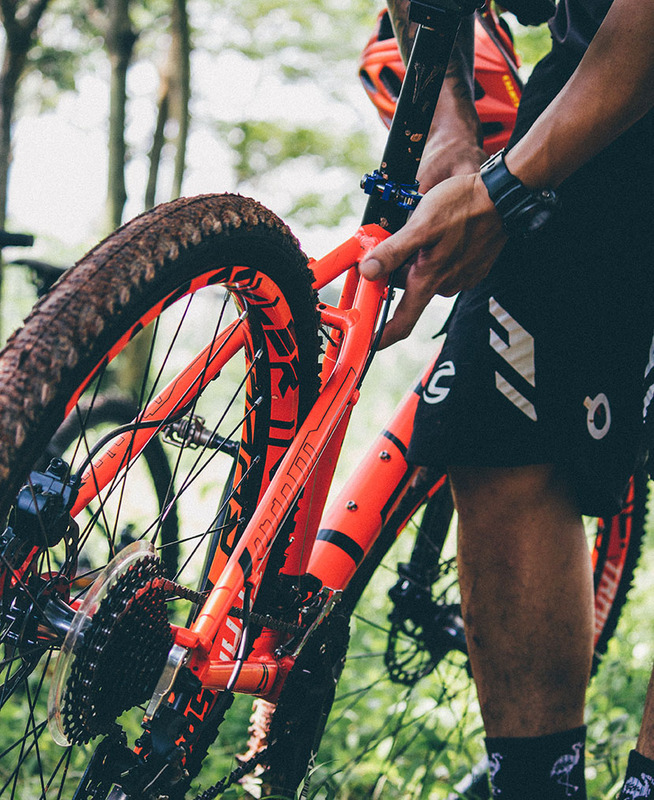 It has recently been brought to our attention that there are, or have been, carbon fiber products (Wheels, bars, stems, cranks) in the Vietnam market falsely carrying the Zipp or Sram trademark and have been imported by and sold by unauthorized retailers in Vietnam. We urge any consumer interested in purchasing authentic Zipp or Sram products to read this notice carefully.